The two-year acquisition activity of PPA CONTROLL, a.s. in the Cuban market has brought fruit and the company became a general contractor. Home/News/The two-year acquisition activity of PPA CONTROLL, a.s. in the Cuban market has brought fruit and the company became a general contractor. After signing two previous memoranda, the preparatory process for the reconstruction of the fire damaged Lidio Ramón Pérez Thermal Power Plant in Mayari, Cuba was completed on March 24, 2017 by signing a contract, where PPA Controll, a.s. acts as general contractor. 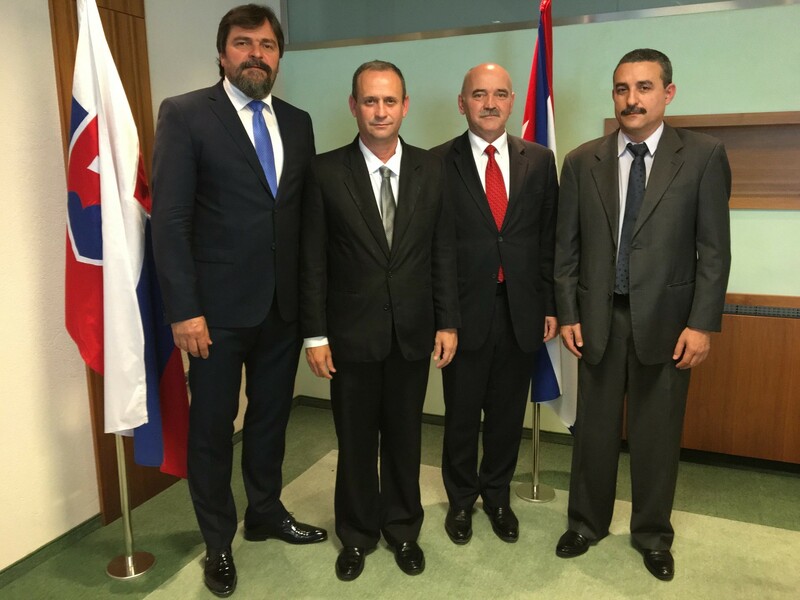 Some other Slovak and Czech companies will be involved as subcontractors and the reconstruction is expected to end in 2019. The fire, which broke out at the plant in one of the two 250 MW units in November 2016, was so extensive that generator repairs are required, a new turbine, control system, field instrumentation and electrical wiring will be delivered and boiler will be modernized. After a complete reconstruction, the power plant unit should have higher performance at a lower fuel consumption, and therefore should be more environment friendly than the original unit of the power plant. The power plant, which burns Cuban oil, covered 22% of the total energy consumption of the country. It was built thirty years ago by Czech and Slovak companies in the bay of Bahia de Cajimay, at a place called Felton. The place was named after an American entrepreneur who, in the early 20th century, carried on business activities in the mining industry in this area. Already in 1902, he built a small power plant nearby, but after some time it ceased operation. The popular name of this area, Felton, has been preserved to this day. The project in Felton is a continuation of cooperation with Energoimport (a branch of state-owned Unión Nacional Eléctrica providing import and export of energy equipment), which started in 2010 by signing a contract and implementation of the reconstruction of the fifth unit of Planta Centro power plant in the Venezuelan state of Carabobo, with an output of 400 MW.